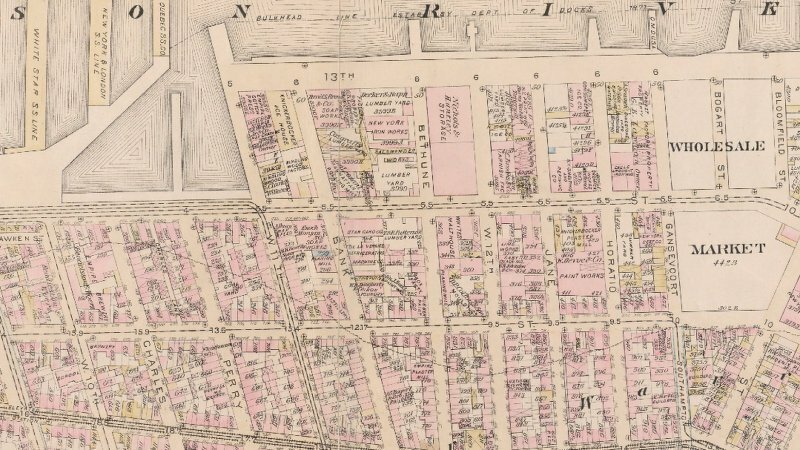 You may be scratching your head at the mention of the 13th Avenue in Manhattan, but it does exist–and it’s the shortest avenue in the whole city with a fascinating history behind it. The minuscule stretch covers prime Meatpacking District real estate, just west of 11th Avenue and between Little West 12th Street and Gansevoort Street. 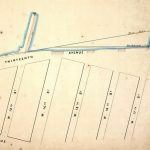 The single block across the West Side Highway is unmarked, but officially known as Gansevoort Peninsula. The avenue was created by the city in 1837, and in no way was intended to be so short. 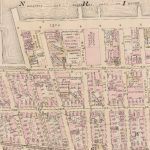 In fact, by the mid-1800s 13th Avenue encompassed nearly 15 blocks and was planned to stretch all the way up to 135th Street. But the block never left Chelsea and was mostly destroyed by the city at the turn of the century. 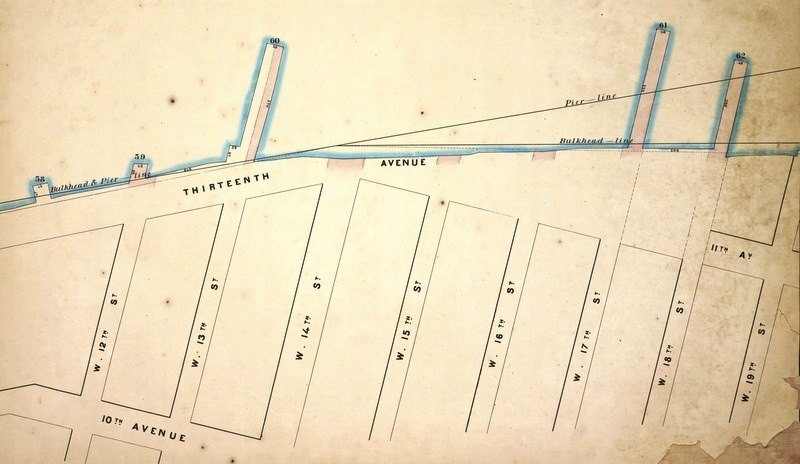 The beginnings of 13th Avenue followed a law enacted by New York State to establish a permanent street along the Hudson River. The legislation actually granted developers the ability to purchase–get this–underwater lots. (New York’s crazy real estate stories date back to the 1800s, apparently!) 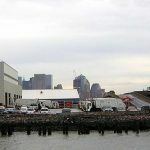 Developers could then use trash and landfill to expand mainland Manhattan into the water through the construction of piers and docks. The result? Private investors went wild buying and selling lots to expand Manhattan into its surrounding waters. But once the sun set, the Times described the stretch as seedy and unsafe, avoided by the police. 13th Avenue became a known hangout for hoodlums, and the bars in the area became notorious for brawls, cockfights and fires. Further development of 13th Avenue was halted by a recession. Its death knell came toward the end of the 19th century, when the city needed to upgrade its piers to accommodate larger steam liners like the Lusitania and the Titanic. 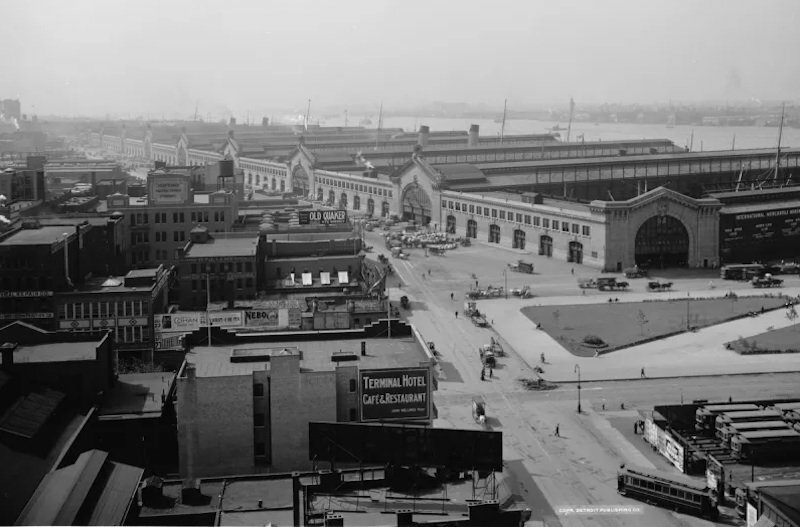 The docks along 13th avenue were condemned and landfill was taken up to 22nd Street to build out Chelsea Piers. The stretch of 13th Avenue north of 22nd Street stayed put for a few decades, but eventually became part of 12th Avenue. The city, however, did not condemn the area that held the West Washington Market–the exact location that holds the remainder of 13th Avenue. The market closed long ago, and now the one-block-long piece of land holds facilities for the sanitation department. These days the entirety of 13th Avenue is operated by the NYC Sanitation Department and cannot be accessed by the public. 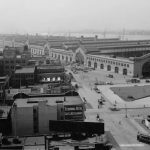 While there has been some proposals to open up some of the waterfront, it hasn’t happened yet, and this short stretch remains mostly under the radar, a remnant of the lost streets of New York. The sanitation facilities are being removed as we write and Hudson River Park is aware of the 13th Avenue anomaly. I have a feeling once the park is installed they’ll preserve this designation.